Jackie O’Leary watches through the front windows. 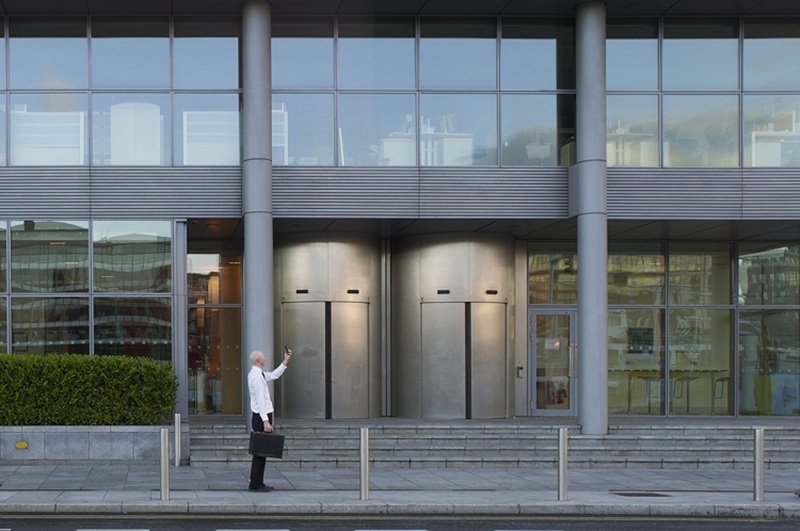 O’Leary is watching out for people headed to the nearby criminal courts on Infirmary Road – among them, lawyers, and solicitors, and gardaí. 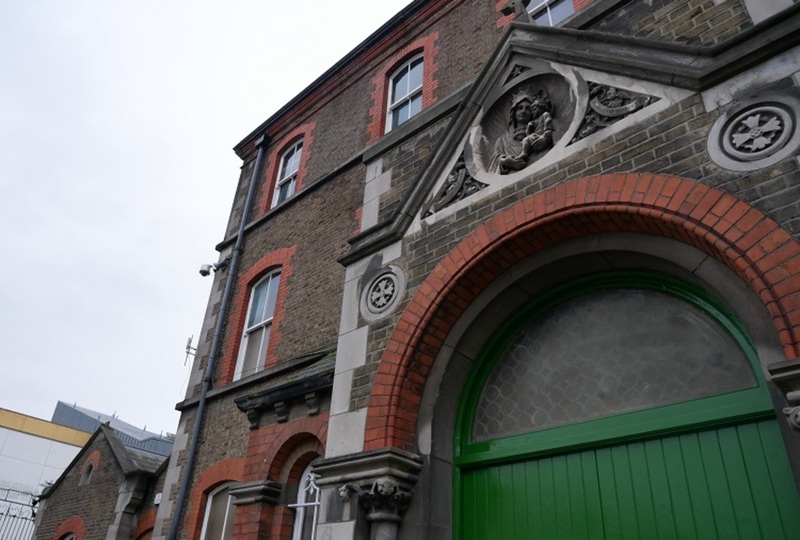 On Friday morning, Sinn Féin Councillor Janice Boylan pointed down Montpelier Hill towards the courts, which loom over this largely residential part of the northside. Along this pay-and-display stretch of road, parked cars block the driveways of some houses. As Boylan tells it, Montpelier Hill is now an area where visiting drivers know they can park with little hassle. But opposition has grown. O’Leary, the street’s resident 007, says that, despite the “Don’t Block Driveway” sign pinned to her gate, she’s continually blocked in. Last week, a motorist parked in her open driveway, she says. Her neighbour, Karen Domican, who lives two doors down, says she wouldn’t mind the parked cars but for the anger expressed by some motorists when residents confront them. Independent Councillor Christy Burke says that the problems around Infirmary Road, Montpelier Hill and its offshoots have persisted for “years and years”, though the situation has worsened since the courts opened on Conyngham Road in 2010. Burke frequently notices Garda vehicles parking along double-yellow lines, too, he says. He thinks these should be clamped. It’s difficult to stop gardaí doing this, says Sinn Féin’s Boylan, as they are frequently in and out of the courts. 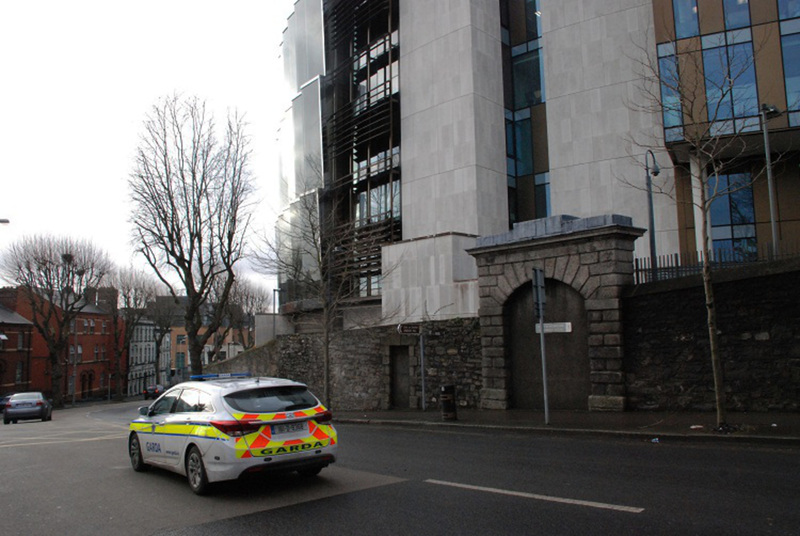 The Garda Press Office did not respond to queries relating to Montpelier Hill, whether gardaí are allowed park on double-yellow lines and whether Gardaí vehicles can be clamped. It’s not just residents who face challenges, though. 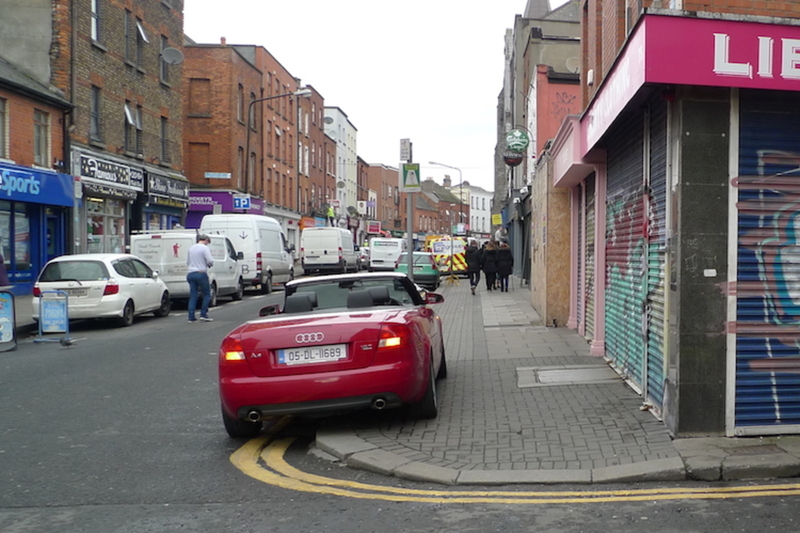 Last Friday, a Gardaí vehicle pulled up here and parked on a double-yellow line near where O’Leary and Domican live. At last week’s meeting of the council’s Central Area Committee, Boylan railed against Dublin City Council’s Traffic Advisory Group. She argued that extending double-yellow lines on Montpelier Hill could discourage outside motorists from blocking residents’ means of access. 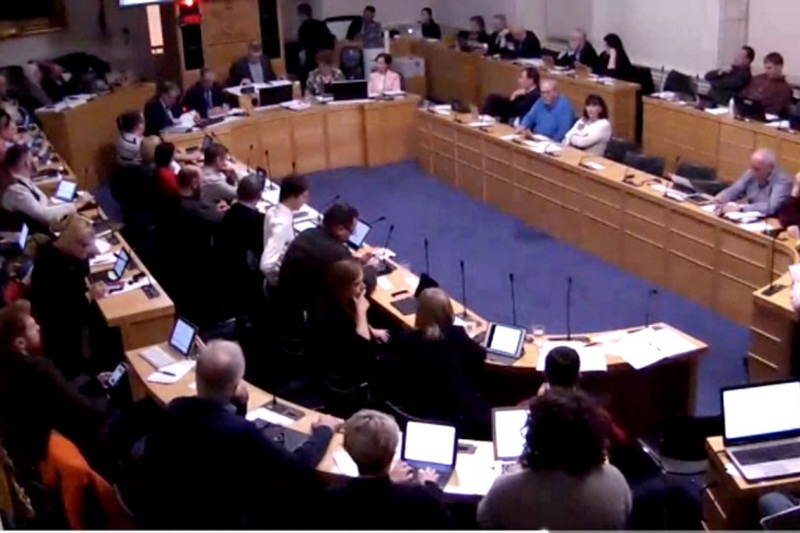 But the council – on the back of advice from An Garda Síochána – declined Boylan’s suggestion. In any case, it is unclear what difference this could make, given the frequency with which cars park on the area’s double-yellow lines. Issues with parking crop up across the city. In Blackpitts, in the south inner city, for instance, residents have placed traffic cones to stop commuters parking outside their homes, though these parking spaces are open to the public. 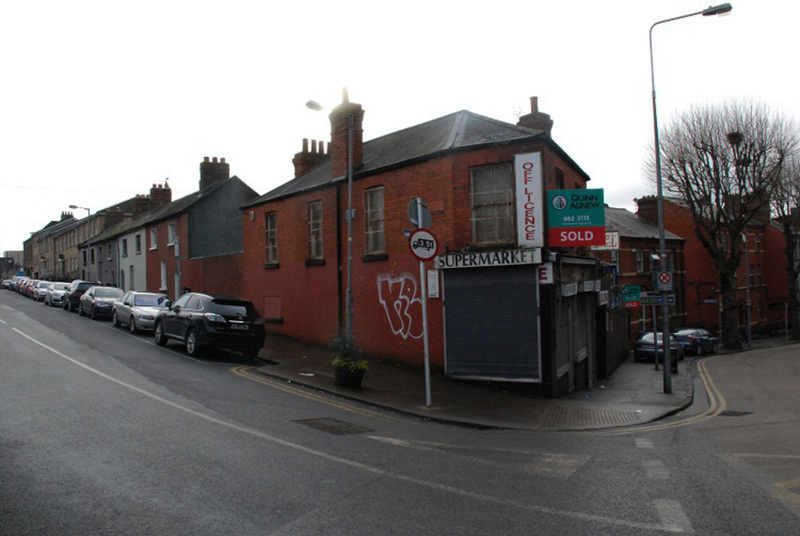 Traffic requests by councillors, even when granted, have been held up in the past by a somewhat cumbersome years-long process, as residents of Portland Place near Croke Park discovered over time. Now that Boylan’s most recent request to the council’s Traffic Advisory Group has been rejected, she plans to petition residents to look at further solutions, like permit parking. Green Party Councillor Ciarán Cuffe, who lives on Montpelier Hill, says that gardaí have always taken up space along the street. Cuffe has been pushing for an area-wide traffic-management scheme for some time. “Now I’m told the [council’s] engineers are looking at this,” he says. However, Cuffe argues that driveway parking is the root of the problem here. “The irony is that people leave their cars in their driveway, whereas they could actually have a front garden and park on the road,” he says. Meanwhile, Montpelier Hill’s O’Leary keeps watch for those blocking driveways.